The true and inspiring story of two Parsi women who initiated the dawn of women's emancipation in India during the British Raj, their courage and broad-mindedness in the face of orthodox opposition in embracing English education and travelling round the world in an age when women were still kept under wraps. It was thanks to one of these illustrious women writing her autobiography that this book has been made possible and several excerpts from the original (The Story of my Life by Dosebai Cowasjee Jessawalla) have been included. Spanning over 100 years of British rule in India, this story is a view of the British Raj that has never been considered before. 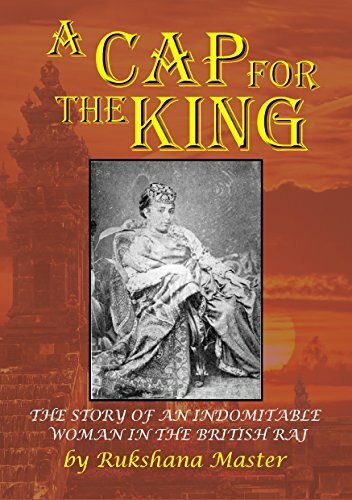 For an Indian Parsi woman to meet the Pope in Rome in 1878 and the same woman to then meet King Edward VII and Queen Alexandra in 1908, with plenty of adventures in between, makes for a very interesting, informative and entertaining tale indeed!